For my third bake with The Cake Slice Bakers, I chose a layer cake with eight impossibly thin layers of buttery, yellow cake and a rich, perfectly fudgy frosting: Smith Island Cake. This cake dates back to the early 1800s in Smith Island, Maryland, an island on the Chesapeake Bay. It is now the official dessert of Maryland. 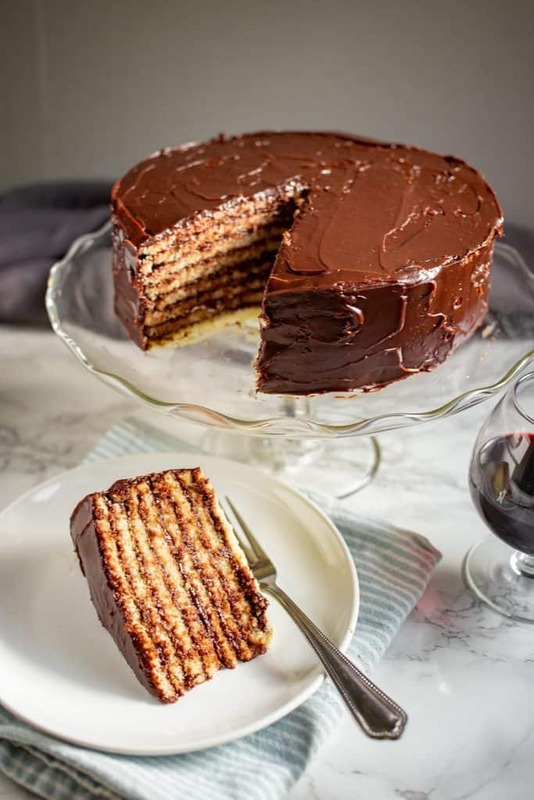 In many cakes, layers are created by baking a thick cake layer and cutting it in half horizontally. 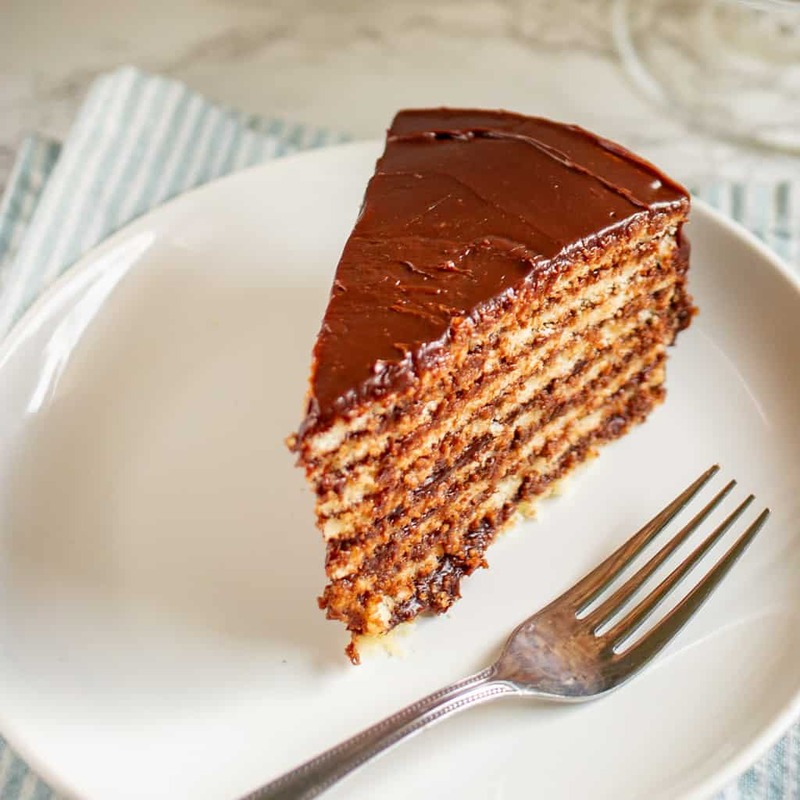 The trick to the perfectly thin, even layers of the Smith Island Cake recipe is to bake eight extremely thin cakes, eliminating the need for perfect knife skills. 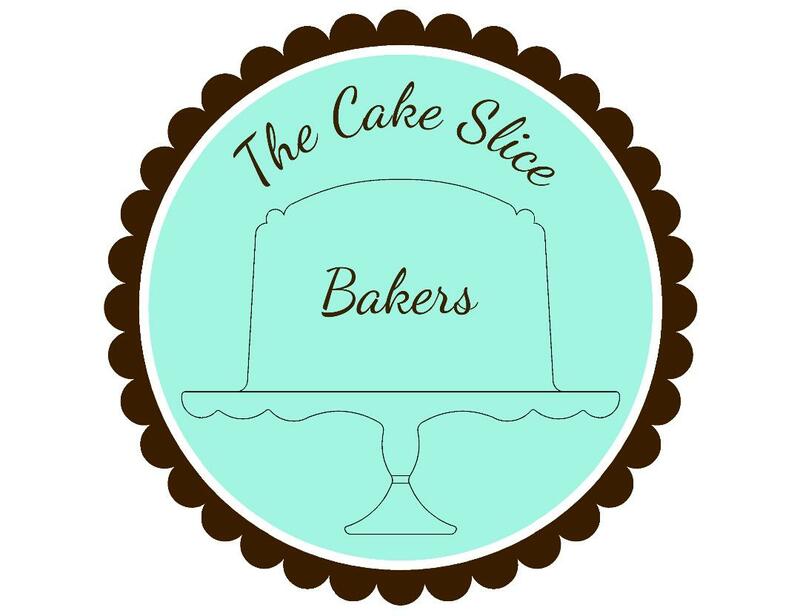 The Cake Slice Bakers are food bloggers who bake their way through cake-inspired cookbooks and then share their results with the world. 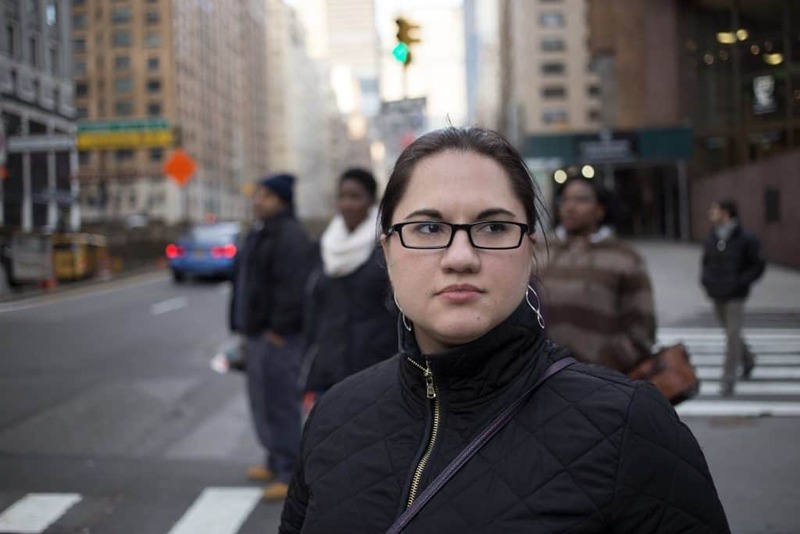 One of the first things I did after starting my own blog was to ask to join the group. Every month, the group chooses four cakes from a particular cookbook and we all pick one to bake. We’re baking from America’s Test Kitchen The Perfect Cake cookbook this year. 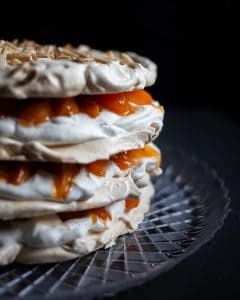 I’m using the monthly bakes as a personal challenge – a chance to take on something that I would have previously avoided. You’ll start by making the frosting. Rather than using the stovetop as recommended in the recipe, I used the microwave. Heat cream, sugar, and salt until the sugar dissolves, then pour the hot cream mixture over bittersweet chocolate. Whisk in vanilla and butter and refrigerate until ready to use. Key cake ingredients are butter and buttermilk, both help achieve the right buttery flavor. You’ll whisk together flour, baking powder, baking soda, salt, and sugar in a bowl. Whisk together buttermilk, melted butter, oil, and vanilla in another bowl. Finally, whip egg whites and cream of tartar together using a stand mixer. When frothy, mix in the remaining sugar and whip until stiff peaks form. Mix together the flour mixture and the buttermilk mixture. Then fold in the whites. For the cakes, I used a “greaseless method” for preparing the pans where I used parchment paper on the bottom of the pan with no butter/shortening or flour. Spread about 2/3 cup of the batter in each pan and bake for only about 10 minutes. If baking two cakes at a time, you’ll repeat the process three more times. After the cakes are baked and cooled, place one layer on a cake plate. Cover with about 1/4 cup of the frosting, gently spread with an offset spatula. Then repeat with the remaining layers. For the final layer spread the frosting over the top and the side of the cake. Serve immediately or refrigerate to serve later. I baked this cake for a dinner party with my sister and brother-in-law. Earlier in the week, I had planned a great menu with lasagna, garlic pull apart bread, and this Smith Island Cake. That morning I had a hot, humid training run for a half marathon, so when I got home from the run I was exhausted. Everything went smoothly while baking and assembling the cake, but all I wanted to do was take a nap, so I did not have high hopes for the end product. Despite my feelings while making it, the end result was so yummy! The frosting is amazing, so rich, smooth, and chocolatey. It was also surprisingly silky and easy to spread – great qualities when you need to spread it across eight layers! I even used the same frosting recipe again for a chocolate cake I made for my nephew’s birthday. The cakes were tasty and it was all easy to assemble. The only downside of the cake was the time to put together, but it’s definitely worth it. 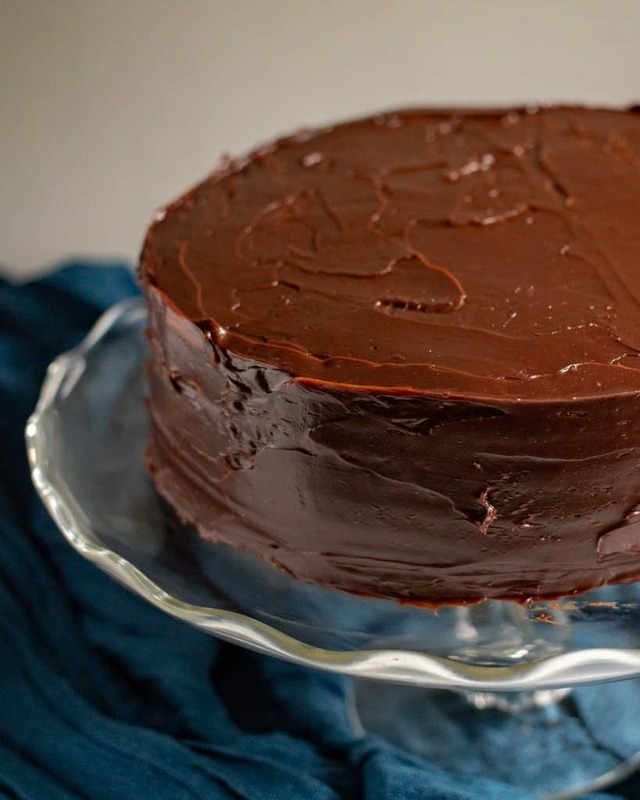 You can find the recipe, along with more foolproof recipes, in The Perfect Cake Cookbook from America’s Test Kitchen on Amazon here or at your local library. If you enjoy baking, this will definitely become a favorite cookbook. 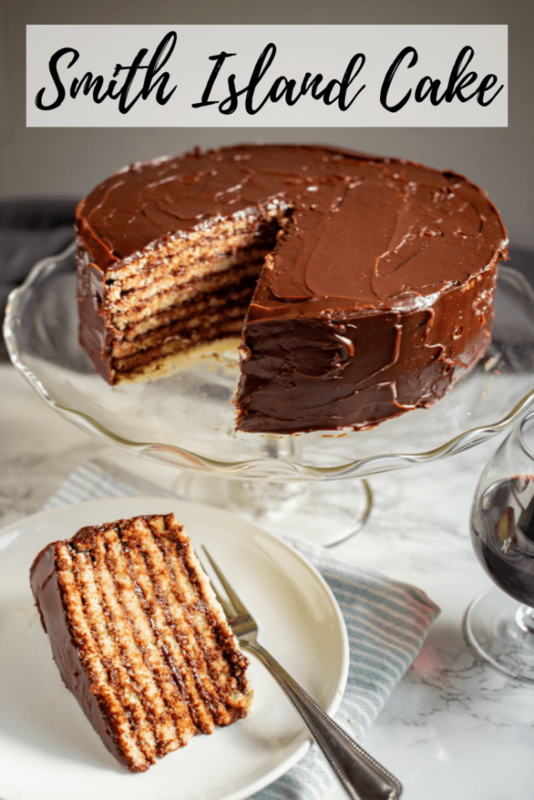 If you enjoyed this recipe review for Smith Island Cake from The Perfect Cake cookbook or if you’ve tried anything else from their cookbook, please comment below and let me know! 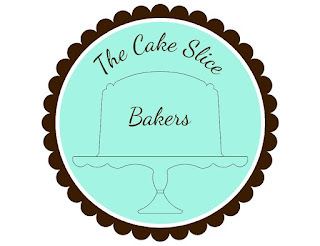 Each month The Cake Slice Bakers are offered a selection of cakes from the current book we are baking through. This year it is The Perfect Cake from America’s Test Kitchen #atkcake. We each choose one cake to bake, and then on the 20th – never before – we all post about our cake on our blogs. There are a few rules that we follow, but the most important ones are to have fun and enjoy baking & eating cakes! Very impressive! 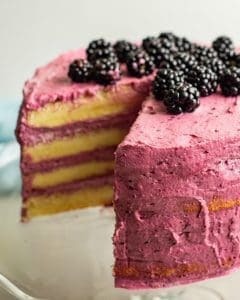 I’ve come across similar cakes before haven’t had the nerve to try it. That’s changed and I look forward to giving this one a go. That frosting looks amazing. So smooth and shiny! That’s definitely a lot of layers, but yours came out perfectly. Look at all that chocolatey goodness! Such a beautiful cake and I would be very happy with a slice of it at any time.